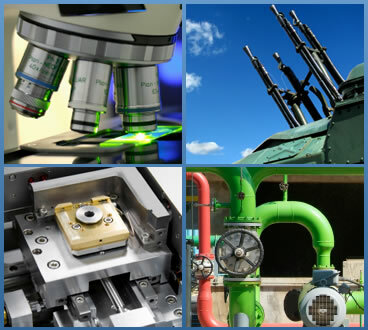 We serve the medical, semiconductor, military and fluid control markets. Welcome to Precision Screw Machine Products Inc. aka PSMP a small women owned corporation. The Company started in 1960 serving the screw machine market until 2008 when it made its complete transition to a CNC Turning and CNC Milling company. The first CNC Turning center was purchased in 1983 which began to change our focus over the years from automatic screw machines to the newest state of the art CNC machine tools. Our lot sizes went from 100,000 to millions of pieces annually to the current 1 piece to 5,000 piece type runs. The manufacturing landscape has changed and so have we. PSMP is a family owned business who embraces change and as a result have built a solid reputation as a premier precision machine shop providing contract manufacturing services for an international client base. Thank you for your interest in our company and our products and services. PSMP is women owned, ISO 9001/2015, AS9100 Rev D registered company with an active ITAR registration located in beautiful coastal Biddeford, Maine. .
At PSMP we specialize in Precision CNC Turning and CNC Milling. In addition to our precision machining capabilities we also offer light assembly work. Our quality and service has allowed us to become a certified dock to stock supplier to some of the customers we serve. To view some examples of our work please visit our products page. The images will give you an idea of the work envelope we excel in. Our dedicated employees having hundreds of years of combined experience and dedication to the trade allows us to be a premier stop for all of your CNC Tuning and CNC Milling requirements. Our well rounded staff and focus on teamwork combined with our state of the art machine tools work everyday in a wide array of materials and geometries. Our quality and engineering folks make sure that the job is done right and on time every time. Please allow us to the opportunity to show you how we can work for your organization. ©2009 Precision Screw Machine Products, Inc. All rights reserved. Developed by Web Sales, Service and Marketing.